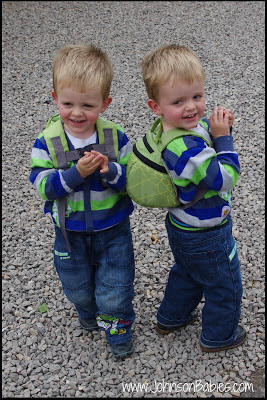 I am really enjoying spending time with Cheeky and Tiny, discovering what adventurous little boys they are becoming. A trip to Tredegar House and Gardens meant not only revisiting one of my favourite places as a child but also (bravely I like to think) taking the boys out for a day without their buggy. 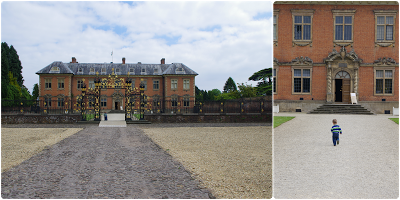 National Trust Wales has managed Tredegar House since March 2012 and like Dyffryn Gardens benefits from this: superbly maintained and benefiting from a friendly and knowledgeable team. The House itself offers so much more than my two 2-year olds let me have time to absorb. Unfortunately photographs are not permitted, and I doubt I could do the House justice, I do know we have to go back as a family (so Mr J can entertain the boys, whilst I explore with Squeaks!). They were determined to put their new found independence to good use, and were off exploring at every opportunity. What I loved most about our visit was how much there was to entertain children. We did visit the park outside of the grounds at the end of the day, but I was far more impressed with what was in the Gardens, as were the boys. 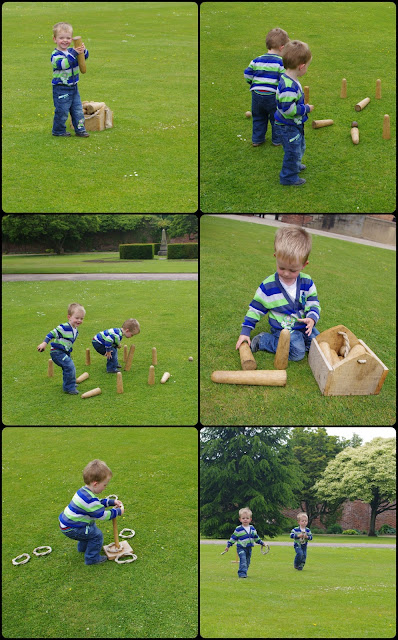 We had a picnic and it was fun to see the boys try and eat fast so they could go off and play. 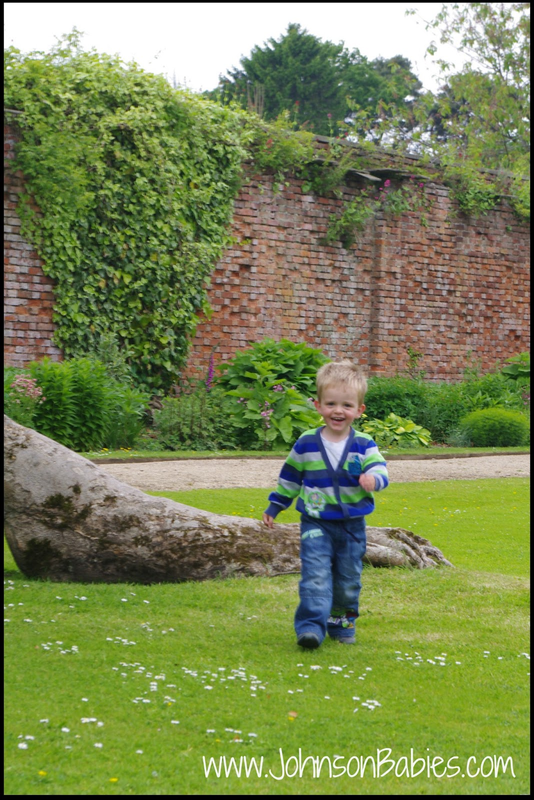 We spent so much time in the Walled Garden with all that it had to offer. The boys loved the garden games, doing a fantastic job of setting things up and tidying them away. Only to unpack everything to start again! And whilst we were there, the boys focused their efforts on ticking #1 off their 50 things list. I loved the way they approached every tree with an enthusiasm to be climbed. And their eyes lit up when they found some horses. 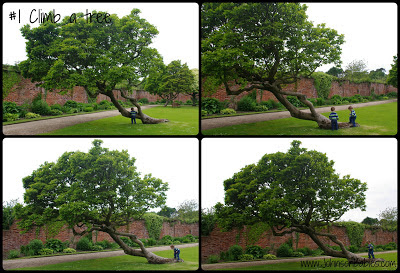 And eventually we found the tree. That a simple thing like balancing and walking along a tree can bring. It might not be climbing a tree to my four year old. But to this 2 year old. He has overcome and succeeded. It is almost possible to touch his growing confidence. And to share in his happiness.... there is nothing better. 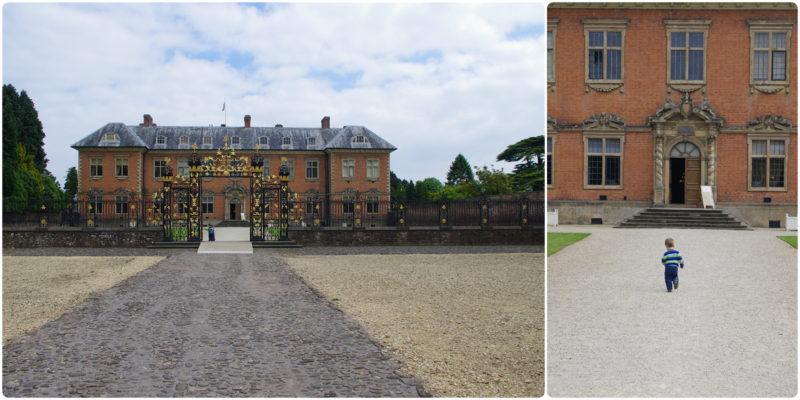 Disclosure: We received a National Trust Family Pass which we used for entry to Tredegar House and Gardens. All views contained are our own. You can keep up with National Trust Wales on Twitter. That looks so much fun! I think our boys would get on well together ;) Or get us arrested. 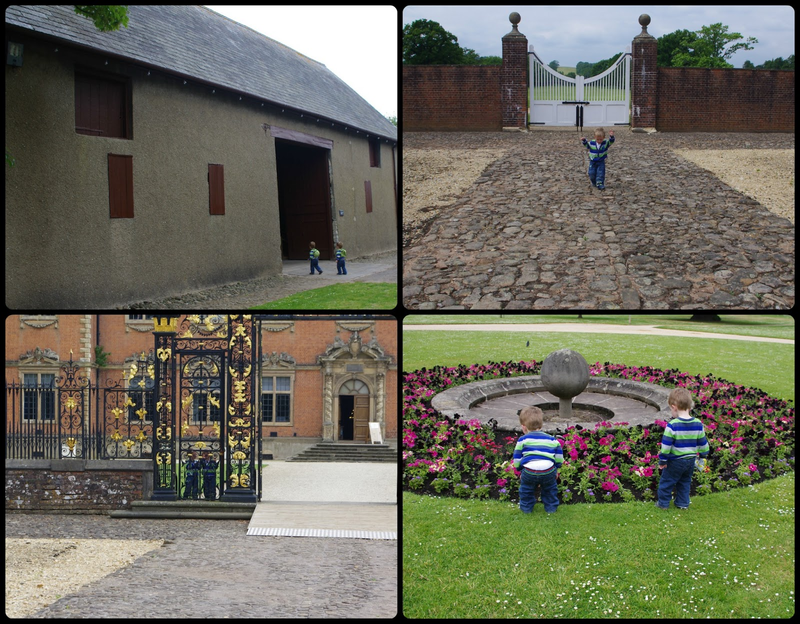 I really ought to take the boys to one of these National trust places - and those horses look fab. 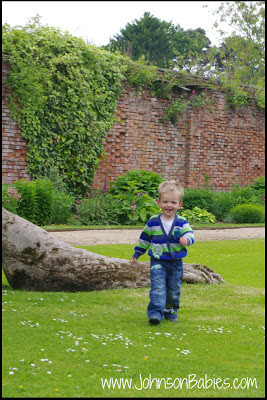 Yay for climbing trees and ticking off one of the things on the 50 things list. Such lovely and very happy pictures of your boys enjoying the expanse of space and the freedom to explore. 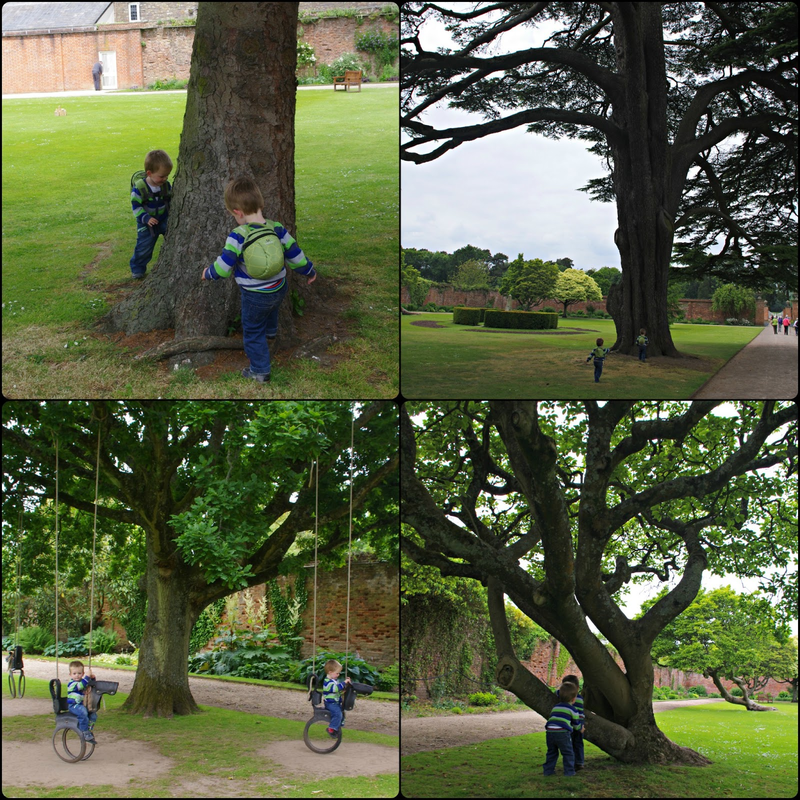 How great that you were able to find a tree that was suitable for 2yo's to climb! It's so important for children to test their own abilities and grow in confidence by their achievements. Thanks for linking up and sharing with Country Kids. The garden games are a really great way to keep them entertained and well those horses are SO COOL! Really looks like a great place. 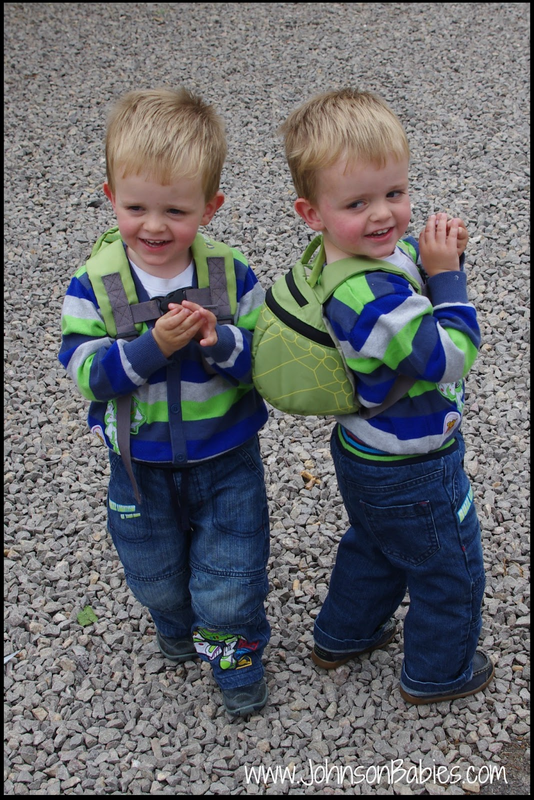 oh my goodness they are gorgeous boys! Looks like a wonderful place to visit. I love those horse swings - very cool. Wow- looks like a lovely day! 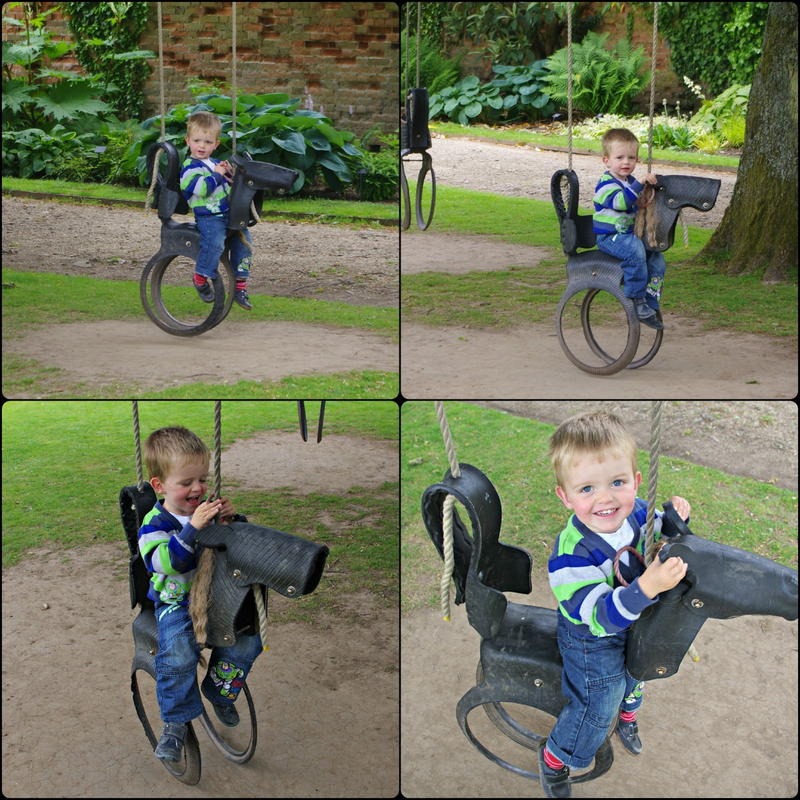 The horse swings look amazing!